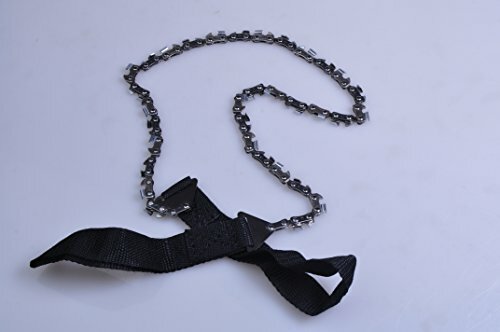 This is a portable hand chain saw. It is an essential survival tool for camping, hiking, backpacking and all other outdoor sports. It is also a good tool for home and garden use. Cut wood quickly and easily. Great survival tool for cutting wood to make fire or shelter in an emergency. 1.The chromeplate sword head prolong the blade's lifetime. 2.Don't need any other drive power. If you have any questions about this product by JUNYI, contact us by completing and submitting the form below. If you are looking for a specif part number, please include it with your message. USUNO Mini Stainless Steel Pocket Saw Emergency Camping Chain Saw Survival Tool with Handles for Camping, Hiking and Hunting.